Welcome to BikeRentalsNainital! Here you’ll find everything you need to know to plan your motorbike tour in Nainital really easy. Here you will get the most diverse and extensive range of rental bikes in Nainital. If you’d just like bike on rent in Nainital then that’s okay but if you need a local route guide, accommodation booked or even help with side trips, then that’s what we’re here to do. Contact for Bike on Rent in Nainital. Cheaper. Faster. 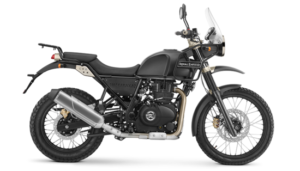 At Bike Rentals Nainital you can hire bikes include Royal Enfield Classic 350, Royal Enfield Thunderbird 350, Royal Enfield Himalayan, Royal Enfield Eletra, Bajaj Avenger 220, Yamaha Scooty, Honda Activa Scooty, and more. We had made easy to hire bikes to ride the hill stations in Nainital, Uttarakhand. If you prefer riding on two wheels then Bike Rentals Nainital can give you the ride of your life on the bike of your dreams at the cheap price. If you are looking for the best bike rental service in Nainital, look no further. We are offering the bike rental service for a very reasonable price. Whether you want a bike for individual ride or need bikes for group or for touring, you can find it here at Bike Rentals Nainital. Bike Rentals Nainital is one of the hassle free and simple bike rental company that offer a diversified and exceptional range of two-wheelers on rent. Due to our personalized service and higher commitment levels, we are regarded as one of the best rental companies in India. We are loyal to our name by making it easy to rent a bike. Bike riders can choose from a huge fleet of exclusive bikes. We have with us a wide range of bikes available to rent and move on. We are an authorized company to hold the rental boards on bike. We feel proud in offering our esteemed customers an option to explore new places on two wheels without any hassles. RENT, RIDE, REPEAT! Rent a bike at Nainital and take a spin around the neighborhood, ride to work or across town. We are here to provide you with best rental service with ease of access and comfort. 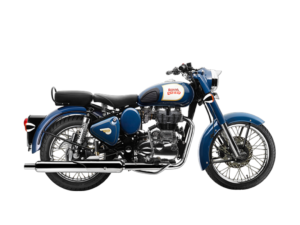 We have in our store bikes like ROYAL ENFIELD CLASSIC, ROYAL ENFIELD THUNDERBIRD 350, ROYAL ENFIELD HIMALAYAN, ROYAL ENFIELD ELETRA, BAJAJ AVENGER 220, YAMAHA SCOOTY, HONDA ACTIVA SCOOTY, and more. With our bike rental service you can go on a short ride or can make a long trip like a trio to Naina Peak with your group of friends. You can also rent a bike on weekly or monthly basis to ride through the city or neighboring areas like Haldwani, Bhimtal, Ramnagar, etc. We have gained absolute trust and reliance of our customers through our unique deals and perfect offers. We assure you of updating our fleet with new and latest collection of bikes. Bike Rentals Nainital offer competitive pricing and optimum quality bikes that provide you with an exquisite experience. We are proud to offer a pool of bikes for rent to suit various requirements and specifications of customers. We are proud to offer to our esteemed customers with a variety of vehicles you can rent Royal Enfield or you can rent Bajaj Avenger. All our bikes are well maintained and serviced from time to time to give you a memorable and bug free experience. Bikes in top notch conditions – Our Company stand out in the market for delivering well maintained and serviced bikes. Timely pick up and drop off – We know that your time is precious and value it and we ensure to deliver bikes on time. Most trusted and transparent process – We well know the entire process and ensure safe renting from us. Serve you the best – In case you face with any issues we will coordinate and serve you in the best possible manner and resolve your problem. Choose from a variety of bikes – You can choose the bike as per your convenience for commuting within the city for a long ride. Low Security Deposit – Deposits are very low as Rs. 0. Ride your bike in Nainital with confidence. Renting a bike is not going to make a dent in your pocket. Money Back Guarantee – Do not fret if anything goes wrong. We guarantee you to return your money back immediately. Lowest Price Guarantee – Select any of your bikes with us for riding at the lowest possible price with us. We are offering you value for money bike rental service in Nainital and its surrounding areas. We understand that you want the most diverse and extensive range of rental bikes in Nainital. 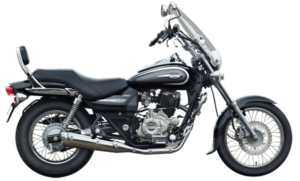 If you are planning to travel to Nainital and you want to rent one of our bikes, contact us without further delay. Want to add some real excitement to your life? Well you’ve come to the right place. We have a bike and tour to suit you. Bike Rentals Nainital offers a great range of bikes on rent in Nainital at a great price to suit all types of licensed riders. Self-riding bike renting is one of the fastest growing past times in Nainital with more and more people wanting to experience the excitement. Some people don’t want the expense or responsibility of purchasing and owning a bike but would still like to enjoy a ride from time to time, so why not try one of our bike tours for a day, a week or a 3 + day trek. We have a new and well maintained bikes fleet for you to enjoy on any of our tours. Motor cycles are our passion. So we have created Bike Rentals Nainital for others to enjoy the same lifestyle with ease and at a reasonable price. No hassle, no fuss we’ll deliver the bike to the tour commencement point and when the tour is finished we will pick it up. We’re pretty easy going at Bike Rentals Nainital, as long as you treat the bikes like your own we won’t even charge you for cleaning them when you’re finished. Nainital Bike Rentals, It’s about time, just ride! Our objective is to provide you with a reliable, fun and affordable bike on rent in Nainital. To do this we have to make you aware of some basic rules to keep us out of trouble. After your trip we want to see you back in one piece with a smile on your face after a great experience. We also want to see the bike back in good condition and with a smile on its face. Please read the Terms and Conditions. Join our bike tour or simply rent a bike and to start enjoying hill of Nainital and other surrounding areas. If you are already in Nainital or you have planned a trip, you can also rent a bike for a few days to explore the Nainital Hill station. We can also organized Bike Tours for One-Day. 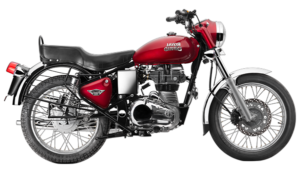 We have several types of bikes on rent, including Royal Enfield, Bajaj Avengers, Himalayan and etc. Welcome to Bike Tours and Bike Rentals in Nainital, Uttarakhand, India. What is Bike Rentals Nainital? Bike Rentals Nainital is a bike rental company that gives bikes on rent in Nainital on daily, weekly and monthly basis which driven by yourself! Yes! Anyone who is 18+ with an original Driving Licence can rent a bike in Nainital with Bike Rentals Nainital. Why should i rent a bike in Nainital with Bike Rentals Nainital? We provide well maintained bikes at best prices and we do not charge any extra cost for late delivery upto 1 hours. After 1 hrs we charge a nominal fee of Rs 100 /- per hour. Do i need to pay security deposit to rent a bike? Yes! You need to pay just Rs 1000/- which is less compared to other bike rentals in Nainial. What documents do i need to rent a bike with Bike Rentals Nainital? Aadhar Card, Original Driving Licence, Voter ID or Passport or college ID card or Company issued ID card. Do i have to produce original documents to rent a bike? Yes! Yes our customers are trust worthy but then you know not everyone is trust worthy. We shall return your documents safely once you return the bike. Do i need to make the payment before or after renting the bike ? You need to make the complete payment before you take the bike out for rent. Can i book a bike now and pay later? Yes ! You can book the bike @ just Rs 500/- and pay the remaining amount while you take the bike. We are offering the best and cheap price thanks for the high number of satisfied customers. Our bike rental service are available 365 days, timing 8 am to 10 pm. You can contact us via email, phone and whatsapp. Bike Rentals Nainital is a leading company to offer you the best bike rental services in Nainital, Uttarakhand. Our clients include Individuals, Travel Lovers, National/International Corporates and Institutions.